RESTON, Va.--(BUSINESS WIRE)--Access National Bank has promoted David A. Talebian to Executive Vice President in its expanding Commercial Lending team. 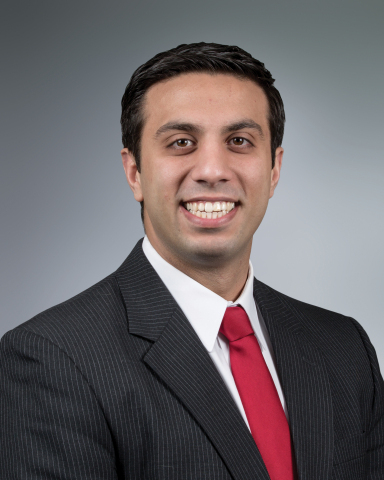 Talebian has been with the Bank since 2007 upon graduating with a bachelor’s degree in Finance from Virginia Tech. He later completed commercial lending and bank management education programs offered by both the Virginia Bankers Association and the American Bankers Association. “David has been with the Access National team from the start of his tremendous career journey, making him one of our ‘homegrown’ success stories here,” Mark Moore, President at Access National Bank, said. Talebian consistently ranks among the Bank’s top producers annually, with a portfolio comprising of commercial and industrial (C&I) financing, commercial real estate loans, and professional services for businesses typically with $5 million to $200 million in revenue. In his role, Talebian will continue to serve in a leadership capacity with his team of commercial lenders. In addition, he will remain a primary player in corporate and leveraged finance sectors, medical services, government contracting sectors, and asset-based lending. He will also support a wide range of essential corporate banking verticals for the Bank, and serve as a member of the Bank’s Executive Loan Committee. Access National Bank was founded in 1999 by professional bankers and business people. It is an independent, nationally-chartered bank based in Reston, Virginia that serves the Greater Washington DC Metropolitan area. In April 2017, the merger with Middleburg Bank (founded in 1924) was completed, creating Virginia’s premier bank with enhanced scale, improved efficiency and a well-diversified business model. Access National Bank is a subsidiary of Access National Corporation and trades on the NASDAQ Global Market under the symbol “ANCX.” Additional information is available at AccessNationalBank.com. Member FDIC.